To many, golf isn’t a sport, it’s a way of life. Since the 15th century, people have been so obsessed with hitting the links that it was actually banned for being a distraction from archery. Since then, it hasn’t lost its appeal. 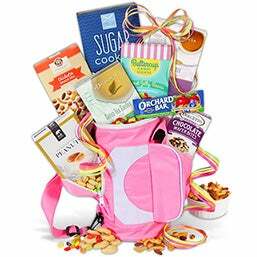 That’s why we created our line of golf gift baskets that unite decadent, gourmet goods with their passion for perfecting their swing. Oh, he thinks he’s on his way to the masters? Whether he actually is or just pretends to think so, you can help him achieve his goal by sending him one of our golf gifts for men this year for Father’s Day or his Birthday. 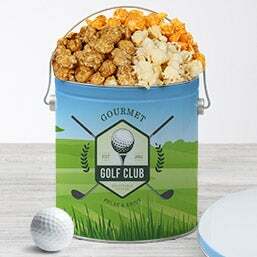 Our gifts for golfers help them make it through the back nine. With savory snacks and refreshing brews that are sent in useful bags and tins, they’re perfect for corporate occasions and graduations. We keep it on the fairway. That’s to say that our golf baskets go from us directly to your recipient and never find the rough. Guaranteed. Golf: The World's Game - Though modern golf originated in Scotland, its roots can be traced back further…as nearly every known civilization played a game with a ball and stick! A Guide to Golf Etiquette - Don’t want to look silly on the green? Check out this complete guide to golf etiquette that’s complete with helpful safety tips and rules of the game!